Jana McCann and Jim Adams established McCann Adams Studio in January 2010. Located in Austin, MAS is focused on urban design and planning, offering clients and project teams a full range of services that help to create sustainable, livable and lasting communities. With decades of local, national and international experience, the MAS team looks forward to continuing our work: helping to realize positive change in cities and neighborhoods. In March of 2010, MAS was officially certified as a Woman-owned Business Enterprise (WBE) with the City of Austin and as an historically underutilized business (HUB) with the State of Texas. 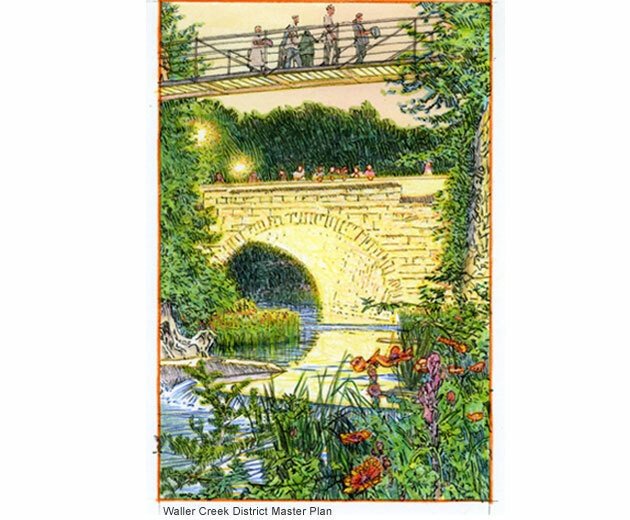 In June of 2010, the Waller Creek District Master Plan was adopted by the City of Austin. The Plan prepared by McCann Adams Studio and ROMA Design Group establishes a far-sighted vision for this urban waterway on the east side of the downtown, providing specific design improvements for a sequence of open spaces and trails that will connect Lady Bird Lake with The University of Texas, and a comprehensive set of guidelines and incentives for mixed-use development that will support private investment and revitalization.